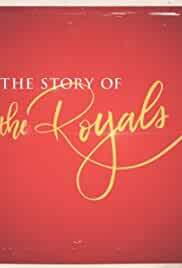 Four-hour miniseries exploring the British Royal Family, the arrival of a new generation of baby Royals, and the marriages that have captured the public interest. Rapper Action Bronson travels the world performing with friends, and trying new foods. Amateur bakers compete in a series of holiday-themed baking challenges. Two brothers follow their fathers footsteps as hunters, fighting evil supernatural beings of many kinds, including monsters, demons, and gods that roam the earth.